ARK expects that before 2020 fully autonomous vehicles will become commercially available, enabling the rise and rapid growth of autonomous taxi networks. These networks should decrease the cost and inconvenience of point-to-point mobility dramatically, spurring a transformative boost in economic productivity. As a result, the traditional automotive industry may be subsumed by mobility-as-a-service (MaaS) platforms that could become one of the most valuable investment opportunities in public equity markets. ARK expects autonomous taxi services to be commercially available in 2019. By the late 2020s, autonomous taxis should be the dominant form of door-to-door mobility. ARK estimates that autonomous taxis will cost consumers $0.35 cents per mile, or roughly half of the all-in cost car owners pay to drive today, thanks to much higher utilization rates. These compelling economics should drive widespread adoption of autonomous taxi networks. ARK expects traffic to increase almost three-fold by 2030. Autonomous taxi platforms will allow the non-driving population, which includes the blind, elderly, and young teens, affordable and convenient transportation options. While traffic likely will increase, autonomous cars should operate more efficiently and should give passengers a more pleasant experience than just sitting behind the wheel. Autonomous cars should cause a shift away from personally owned vehicles, depressing global auto sales volumes in the coming decades. ARK’s research shows that auto sales will fall by nearly half in developed markets. In the developing world, auto volumes will likely increase over the long term, but at a rate much slower than expected today. While a loss in future auto sales may seem like bad news for the economy, by 2035, ARK predicts that autonomous taxis will add more than $2 trillion to GDP in the U.S. alone. Among these economic benefits, ARK sees additional service revenue, more discretionary time for passengers relieved of driving responsibilities, and higher capital returns from repurposing land once used for parking lots. ARK’s research shows that the global autonomous mobility-as-a-service (MaaS) market will exceed $10 trillion in gross revenue by the early 2030s.i Roughly a third of those sales will happen in China.ii In the United States, ARK expects the MaaS market to reach over $700 billion in sales by 2030, or more than 30 times the size of the taxi industry today.iii The market for autonomous services should be roughly ten times the size of the market for autonomous vehicle hardware by 2030, as shown below. Food delivery workers are some of the most overworked and underpaid people in the US — and now you can add “soon to be endangered” to that list. Food couriers have recently joined truck and taxi drivers in the category of jobs that are most likely to be made obsolete by self-driving technology. 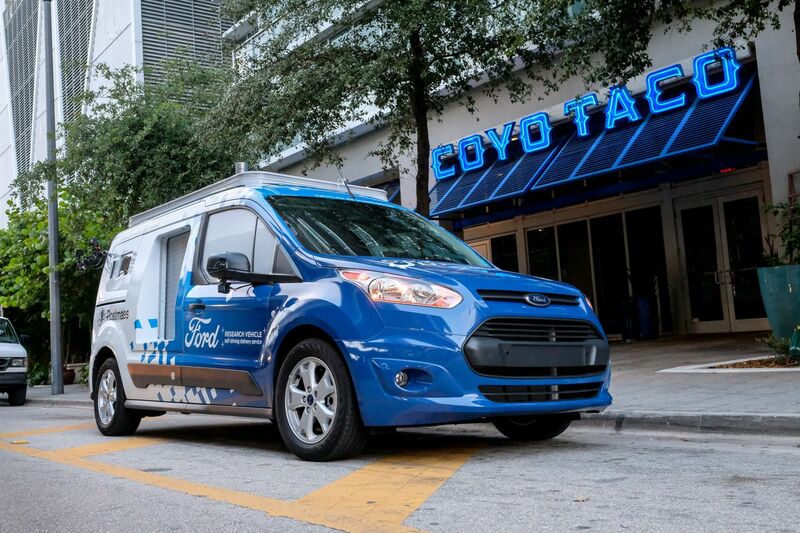 For evidence, look no further than Ford’s current experiments with self-driving delivery vans in Miami. It’s more complicated than it sounds. In our current analog world, a delivery worker rings your doorbell and hands you the food you’ve ordered. But how do you make that transaction in a self-driving, post-human world? Ford’s answer? Tiny lockers and access codes. Who is criminally liable when a self-driving car fatally strikes a pedestrian? Not the company that built and tested the car — at least not when it comes to Uber’s fatal crash in Tempe, Arizona last March, which killed 49-year-old Elaine Herzberg. Uber won’t be charged with a crime, according to a letter, first reported on by Quartz, from Yavapai County Attorney Sheila Polk, the prosecutor who was temporarily in charge of the case. “After a very thorough review of all the evidence presented, this Office has determined that there is no basis for criminal liability for the Uber corporation arising from this matter,” reads the document. Originally, the case was being prosecuted by Arizona’s Maricopa County, but that department was forced to temporarily hand it off to Yavapai County due to a potential conflict of interest. (Apparently, Uber helped sponsor the county’s don’t-drink-and-drive campaign.) But now that local prosecutors have determined that Uber isn’t at fault, the case is being handed back to Maricopa County. That’s the main purpose of the letter. According to court documents unsealed last week, Uber envisioned running 75,000 autonomous vehicles in commercial applications across a geographic spread of 13 cities – all by 2022. These extrapolations date back to 2016, and are part of the cache of documents that have been submitted by Walter Bratic as an expert witness to rebut Waymo’s valuation claims for the economic damages that it incurred due to a trade secret theft. Waymo had accused its former engineer Anthony Levandowski of stealing technical secrets from Waymo and founding his self-driving truck startup, Otto. Less than a year into Otto's existence, Uber bought the startup in 2016, and has been in hot soup with Waymo ever since over the alleged trade secret theft. Waymo made claims that set its economic damages at $1.85 billion, for which Uber’s Bratic responded with a well-toned down $605,000 for perceived damages – a value roughly 3,000 times less than Waymo’s assertion. While Waymo did settle for 0.34 percent of Uber’s equity, what is interesting in those case files is how Uber’s estimate of its self-driving future has remained wildly optimistic at best. 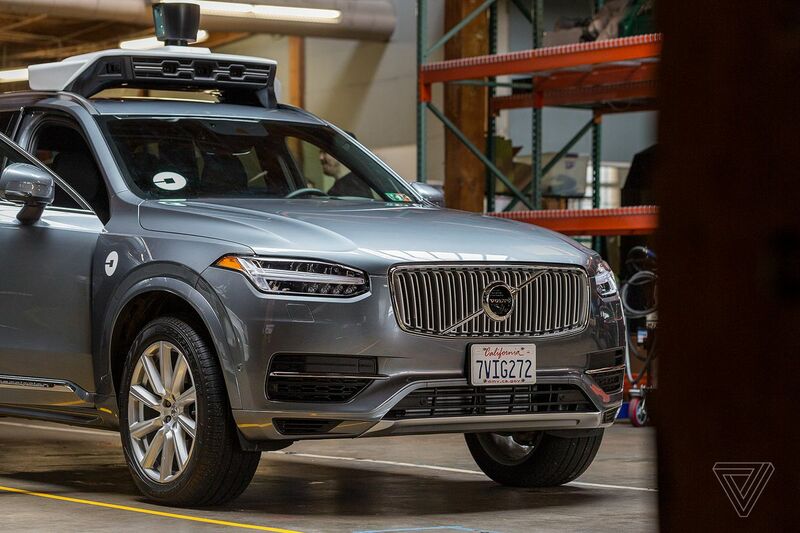 Uber’s documents reveal that the company was spending $20 million a month trying to develop autonomous driving technology. Travis Kalanick, the ex-CEO and co-founder of Uber, had spoken on the existential crisis that Uber would have to contend with in a future where manual driving becomes an outlier. The only way for the company to remain unscathed in such a transition would be when it could commercially launch its own fleet of self-driving cars. If you’re hauling with flatbed trucks, you have risks other trucking companies don’t have to worry about. Understanding these additional risks helps you make smart decision to protect your drivers, your trucks, your profits, and your company. Here are 5 risk only flatbed trucking companies will really understand. Flatbedders have to know all the advanced strategies for making sure nothing moves during transport. A faulty latch, strap, tarp, or knot could mean a rod, log, or machine part going straight through someone’s windshield. When something comes loose in a closed truck, the worst you have to worry about is damaged cargo. But with a flatbed, someone could die or end up with some extremely high medical bills. While death and injury are terrifying possibilities, your company could also be faced with some enormous financial expenses. And even the best drivers can make a mistake when securing a load. Making sure you’ve got insurance to cover this kind of risk is important. This isn’t something exclusive to a flatbed truck company. But it’s definitely more common. You may be carrying heavy metal beams that could cut your driver or another vehicle in half. All it takes is a wreck up ahead with no time to stop or not slowing enough around a dusty country bend and dangerous freight launches into the road. Having cargo coverage for clean up and damage as well as liability to cover other drivers and their vehicle will help you sleep at night knowing you can come back from these kinds of disasters as a business. There can be little argument that telematics is one of the top technological developments in the history of fleet management. With the technology becoming ubiquitous among fleets, there’s also little doubt that telematics — in whatever direction it evolves — is here to stay. And evolution is a mainstay of telematics. Like much of today’s digital technology, telematics never seems to stand still. There always seems to be something new just on the horizon. So, as we’re nearing the end of 2018, it’s a good time to dust off the proverbial crystal ball and gaze ahead into what may be in store for 2019. Data has become the hallmark and underlying value of all telematics systems. Transparency into every aspect of a fleet’s operations is crucial to meet customer needs, be efficient, and ultimately to be profitable. But data is only the first step — being able to analyze that data and turn it into meaningful insights allows fleets to accurately measure key performance indicators (KPIs) and vehicle total cost of ownership (TCO) to meet their operational missions in a data-rich context. And fleets will be getting more of this in 2019. Analytics within telematics programs will get better in the coming year, giving fleets even more insights and ability to turn the flood of raw data cascading from the fleet’s vehicles into meaningful and profitable action. It’s no secret that cyberattacks have become a permanent fixture of the digital landscape — even a cursory survey of a daily news cycle will likely contain at least one report of a cyber breach of some sort. And, because of this, fleets — both in the commercial and government — need to be ever vigilant in securing their sensitive or private data. In 2019, fleets will see an increasing and effective focus on new protocols and methods that telematics providers will be using to keep important data secure and confidential. GPS Insight, in particular, has robust protocols in place that will allow fleet managers to have the peace of mind needed to rely on their GPS Insight telematics solutions. Specifically, GPS Insight is SOC-II Compliant, which means auditors from the American Institute of Certified Accountants spent over three months with us to determine that we have over 100 security controls in place to protect the confidentiality, integrity, and secure availability of the data our solutions capture. In addition, GPS Insight recently joined an elite fraternity of just 200 organizations worldwide that have attained FedRAMP Ready status, requiring us to apply over 300 security controls to ensure system security for customer data. While cybersecurity should be a top-of-mind concern in the digital age, fleets will see that their telematics partners are meeting the challenge so they can feel confident that their data is secure. Telematics’ analytical capabilities are only the beginning of the business intelligence that fleets will be able to get in 2019. The increasing ability to integrate with other enterprise systems will be another benefit fleets, and their companies will see in the coming year. Some of the integrations will be individually and directly related to traditional fleet operations, such as telematics and fuel card or telematics and dispatching integrations, but there will also be increasing integrations into the broader scope of the enterprise, including with mobile workforce management, ERP software, and business management software. All of the data coming in will now be available in a centralized repository, often within a single dashboard view and login, eliminating information silos that can hinder the effectiveness of the entire company — causing inefficiencies, redundancies, and loss of profits. The "Automotive Safety Electronics Market - Global Outlook and Forecast 2018-2023" report has been added to ResearchAndMarkets.com's offering. The global automotive safety electronics market is anticipated to reach values of approximately $40 billionby 2023, growing at CAGR of more than 12% during 2017-2023. The increasing proliferation of automotive electronics that enable centralized control and seamless exchange of data and information between various systems is augmenting the growth of the global automotive safety electronics market. 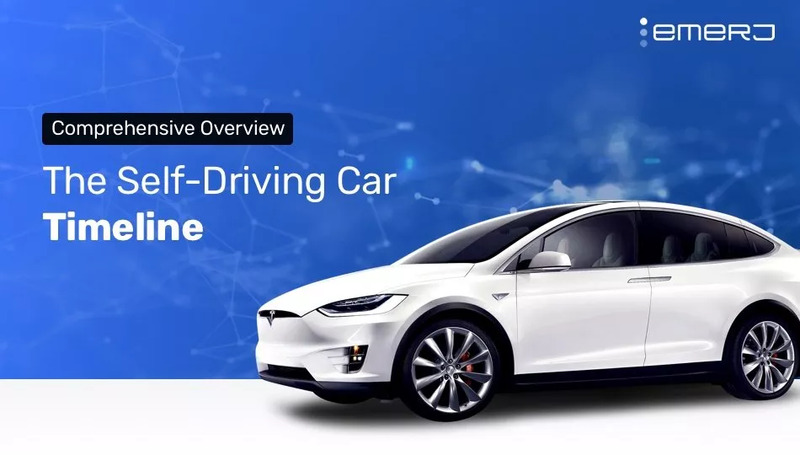 The launch of systems that are designed to enhance user experience and convenience will revolutionize the automotive industry in the global market. The growing demand for connected cars with the growing integration of smartphones and electronic devices will transform the global market. The adoption of advanced features such as telematics, ADAS solutions, digital clusters, and high-end infotainment systems is boosting the demand in the global market. Some of the prominent vendors are developing a new cost-efficient 3D surround view system designed for economy and mid-priced vehicles to attract a wider group of consumers and gain a larger global market share. The innovations in the field of safety systems, infotainment, electrification of engine mechanism, and propulsion technologies will create new investment opportunities for OEMs operating in the global market. The growing applications for semiconductors across hybrid and electric vehicle segments will have a positive impact on the overall development of the global automotive safety electronics market. 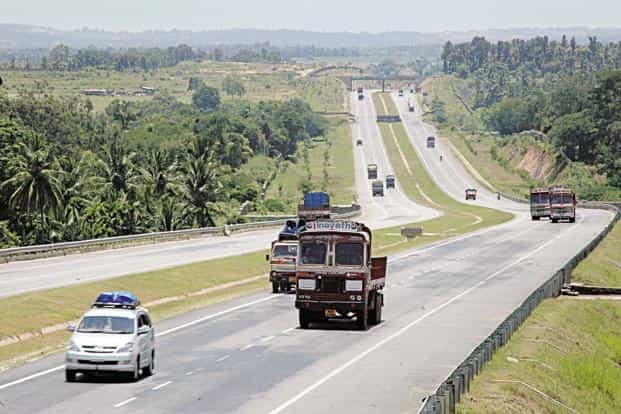 Factors such as rapid electrification of vehicles, adoption of connected vehicle concept, and integration of advanced safety features are expected to boost the demand for these systems in mass mid-segment vehicles in the market. The vendors are introducing new safety electronics systems and solutions to boost their revenues in the global market. The growing focus on the electrification of automotive mechanics will lead to the evolution of the global automotive safety electronics market. The increase in government regulations to reduce vehicle emissions and curb environmental pollution is promoting electrification of vehicles in the global market. 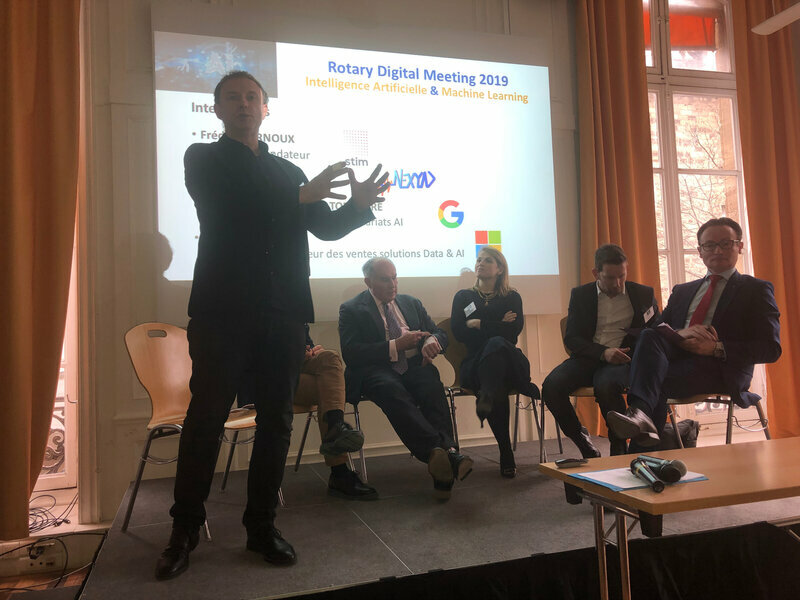 Very intersting conference the 10th of April 2019, Ecole des Mines de Paris (Paritech), in Paris. The focus was Artificial Intelligence (AI). + a disruption (SafetyNex technology) that consists in computing onboard, in real time, at each moment, the driving risk that the driver is currently taking (if driver is human then it is used to alert and let time to slow down before potential emergency situations; if driver is an AD system, they driving risk is used to servo-control the AD system bringing anticipation skills to this AD system that becomes adaptive to driving risk).